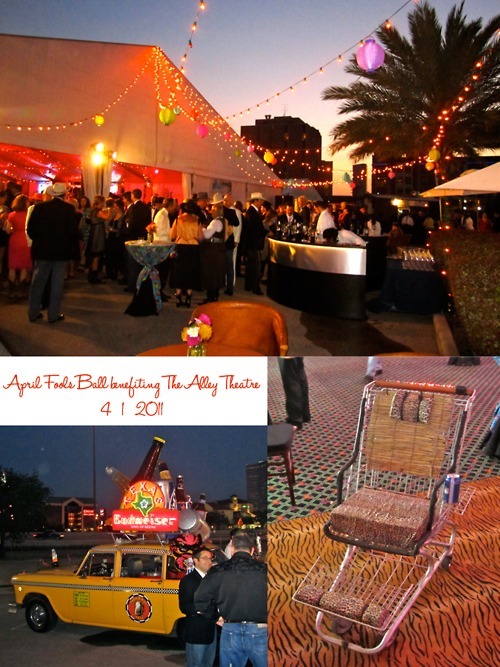 On Friday I attended the April Fools Ball benefiting The Alley Theatre. It was a blast! With food from Hubcap Grill,Melange Creperie, No Borders and more, as well as music from Big Ray and the Kool Kats, we were fully entertained and literally full. Everyone dressed up in Trailer Chic or Texas Prom themes with outfits varying from an actual trashbag dress paired with Jimmy Choo heels to Tacky Prom queens with tiaras. It was such a fun night – hopefully I’ll get to go again next year!